Old Friends, the Thoroughbred Retirement facility in Georgetown, KY., announced on Tuesday the arrival of two new notable retirees: Grade 1 winner Wake Forest and stakes winner Kharafa. Wake Forest was a Group 3 winner in Germany before relocating to trainer Chad Brown's barn in 2015 for owners Michael Dubb, Sol Kumin and his Sheep Pond Partners, and Bethlehem Stables. In his third North American start, Wake Forest captured the Grade 1 Man o' War Stakes and went on to win the Grade 2 Mac Diarmida Stakes in 2017. This past July, the bay son of Sir Percy (GB) went on the block at Fasig-Tipton where he sold for $90,000. Under new ownership he began dropping down the claiming ranks. On November 24th at Gulfstream Park West he ran for a tag of $8,000 and finished ninth of 11 starters. It was to be his final start, as former owner Dubb stepped up to claim the 8-year-old horse for retirement. After 28 starts and eight wins, Wake Forest completed his career with earnings of $951,745. Trained by Timothy Hill for owners Paul Braverman and Timothy Pinch, New York-bred warrior Kharafa finished out his career after 52 starts in eight seasons. A star of the NYRA circuit, Kharafa captured multiple runnings of the Ashley T. Cole Stakes and the Kingston Stakes at Belmont Park as well as Aqueduct's Three Coins Up Stakes. This August the 9-year-old was the unexpected star of Saratoga's New York Showcase Day after capturing the $150,000 West Point Stakes to the delight of his fans. The win brought Kharafa's career earnings to $1,238. 622. Since 2013, Kharafa had become a huge fan favorite thanks to a sensational rivalry with fellow state-bred turfers Lubash and King Kreesa. As fate would have it, all three are now retired at Old Friends in Georgetown. 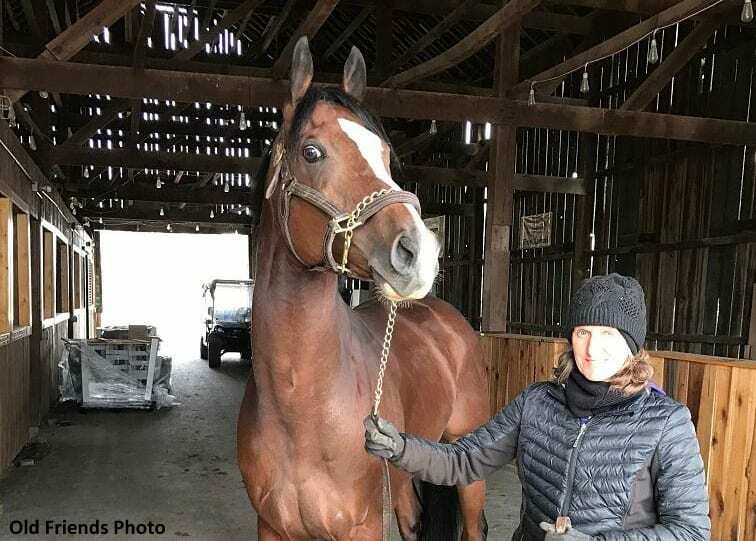 This entry was posted in Horse Care, NL List and tagged Chad Brown, kharafa, michael blowen, michael dubb, old friends, sol kumin, thoroughbred, thoroughbred retirement, timothy hill, wake forest by Press Release. Bookmark the permalink.